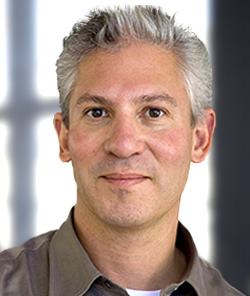 Lev Weisbach, AIA, is an integral member of the Brookwood organization and a Senior Consultant to the firm. He also is the founder and president of Weisbach architecture | design. Launched in 2010, the firm’s current work includes a broad range of projects including a townhouse in Toronto, a number of restaurant and retail venues at a major retail development, a fitness center renovation, a residents’ club, and a conference and meeting facility at a resort hotel. Lev has more than 20 years of experience as an architect in a diversified range of project types and scale. Prior to founding Weisbach architecture | design Lev worked for a number of international architecture firms including Gensler Worldwide. In 2003 Lev joined CCS Architecture as a partner, where he focused on design-intensive residential, commercial, hospitality, educational and cultural projects. During his time there the firm thrived and expanded and developed a reputation as one of the country’s top restaurant design firms. A native of San Francisco, Lev is a Licensed Architect in California. He received his Bachelor of Architecture from the University of California at Berkeley and Master of Architecture from Columbia University. His work has been exhibited and published widely and received numerous awards.